Home / Mahesh Babu / Movie News / Mahesh-Koratala Movie Intro Song Shooting in RFC!! Mahesh-Koratala Movie Intro Song Shooting in RFC!! After partying in Dubai along with family on the New Year eve, Superstar Mahesh Babu returned to work. He has joined the shooting of his forthcoming movie directed by Koratala Siva. Tentatively titled Sreemanthudu, presently the shooting is going on briskly in Ramoji Film City. 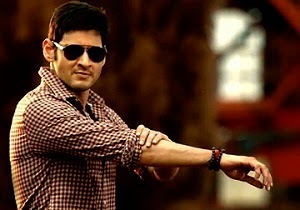 Mahesh Babu's introduction song is being shot alongside dancers in a specially erected set in the film city. Noted choreographer Raju Sundaram is composing moves for Mahesh Babu in the intro song. Tipped to be a decent entertainer laced with elements that elevate Mahesh's stardom, the movie has Shruti Haasan in the female lead. After tasting dud in form of Aagadu, Mahesh Babu is working hard to make a grand comeback with this film and hence, special care has been taken on this film.